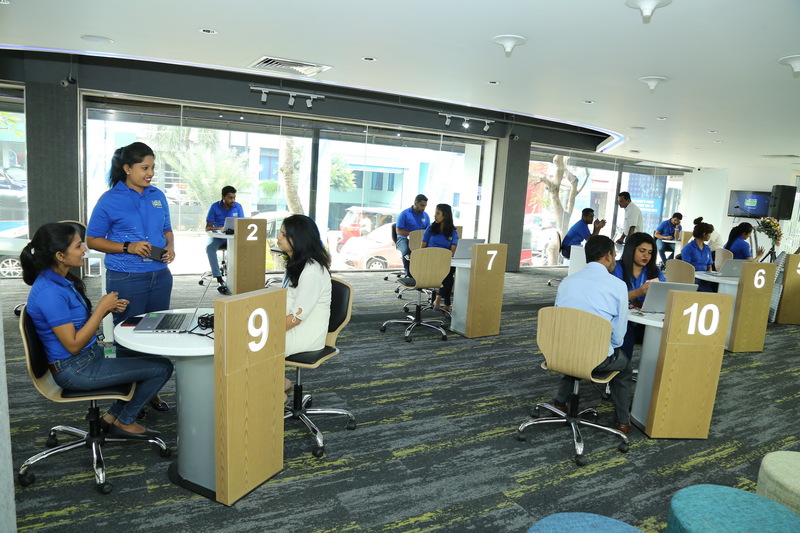 Fulfilling its promise of being the caring mobile service provider, Mobitel proudly reopened its newly-refurbished customer care centre at its flagship store in Colombo 02 recently. The latest amongst its many customer care centres across the country to undergo extensive refurbishment, it reflects a significantly enhanced outlook to ensure the steady delivery of Mobitel’s technologically sophisticated products and service offerings. The state-of-the-art customer care centre offers enhanced customer convenience and comfort for a superlative experience for customers. The centre showcases the latest technologies pioneered by Mobitel, with areas for customers to engage with its Internet of Things (IoT) devices for smart living, wide array of smartphones, and a gaming and robotics area as well. The aim of refurbishing its customer centres is to deliver a superior experience to customers while simultaneously introducing them to the latest technologies that Mobitel is bringing to Sri Lanka for the first time to enhance customers’ lives. Its focus on customer-centricity has ensured that all its product offerings are aligned towards empowering the consumer – inspiring it to introduce ground-breaking innovations. Care is inbuilt in Mobitel’s DNA. Built around the concept of customer centricity and the ‘Care’ promise, Mobitel’s service and call centers have earned the distinction of being the most responsive. Mobitel has received an array of awards and accolades during 2018, such as the coveted ‘Service Brand of the Year – Gold’ at the 2018 SLIM Brand Excellence awards recently for the second straight year in a row; the Le Fonti Corporate Award for ‘Excellence of the Year for Innovation & Leadership’ – Mobile Telecommunications at a gala event in Hong Kong; and 3 awards in high profile categories at the ACEF 2018 7th Global Customer Engagement Forum & Awards held in Mumbai, India. The ACEF 2018 awards are significant because winners were selected from 621 entries from over 200 companies from across the globe. This stands testament to the brand promise of ‘We Care. Always’ which Mobitel practices by improving service standards to its customers.